White resembles perfection, purity and cleanliness. This color has all the good and bad elements of every color in the spectrum – a balanced color. In psychology it is often associated with new beginnings or new starts. If there is one color that describes a beach house – it’s white. White and beach houses go together like peas in a pod. The calming peaceful nature of the color is there to put you at ease on a holiday, taking away the stress and troubles and just letting you relax. 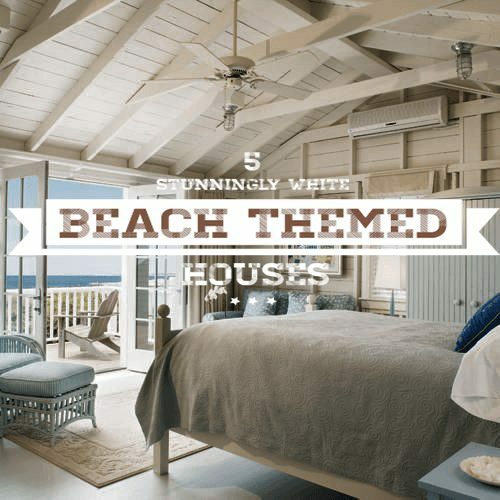 In this article, we are going to have a look at five of our favorite white themed beach houses from around the world. Now we have broken these into two categories, outside and inside white. White exteriors are, in my opinion, absolutely stunning. The almost reflective surface brings out the life of the ocean and the coast all around you which is why we have chosen these stunning white themed houses to show you. 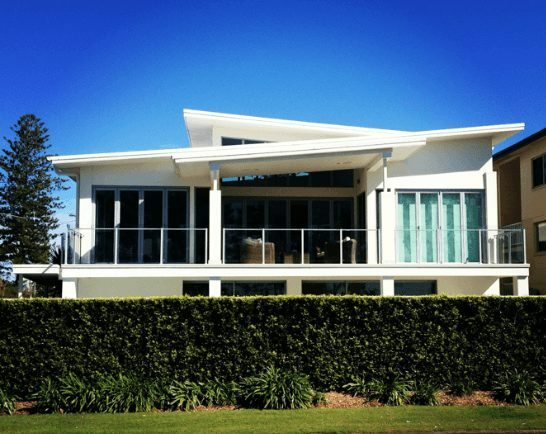 This modern beach house has all the angles in all the right places. Whilst not your typical beach house design, the white really brings out the stunning greens in the garden and surrounding areas. This gorgeous little white beach shack has to be one of my favorites. Situated right on the beach, this little baby would be one of the most relaxing experiences. The white color here really works well with the lighter sand color and the stunning red roof. 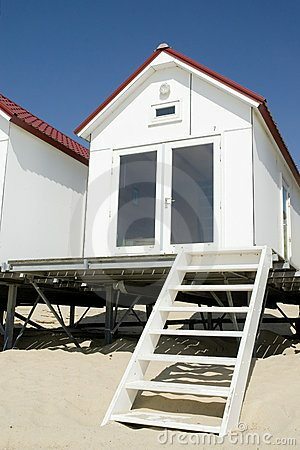 If you were looking at designing a smaller or one bedroom beach shack – take your inspiration from this one. Whilst not completely white, this elegant house really shows how you can use white in combination with some other colors to truly get some magnificent results. The Light blue and white in this work so well together and have such an inviting look to it. Definitely a place I would want to raise a family over the summer (and it even looks big enough to bring some friends over too!). Now you just can’t have a white exterior. You need the inside as well, so when your sitting there reading a book, you get the relaxing calming feeling wash over you as you hear the sounds of the waves crashing in the distance. This room here really goes all out. White curtains, tables, chairs, couches, floors – everything white. Truly stunning abode. This bedroom uses a bit more of a darker white, but still manages to look like one of the best beach bedrooms I have ever seen. I doubt you will ever wake up on the wrong side of the bed here! 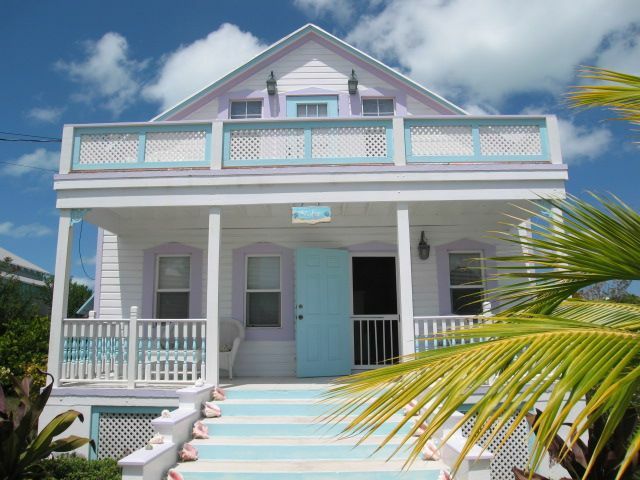 So there you have it, Beach Bliss Livings top five beach white houses. If you have any that we missed on our list, please feel free to share them below in the comments! DIY Maritime Letters on the Cheap – Learn How!